A slightly older view of Shore Street in Portnahaven on the Rhinns of Islay (the gap has since been largely closed with new houses). The church with the two entrances for Portnahaven and Port Wemyss top right. 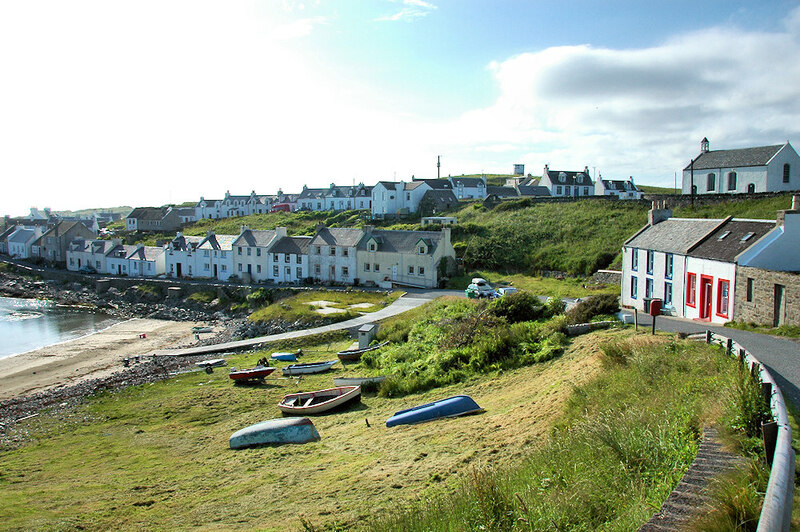 This entry was posted in Beaches, Cloudy Weather, Landscape, Repost, Sunny Weather, Village and tagged Islay, Portnahaven, Rhinns of Islay by Armin Grewe. Bookmark the permalink.